My office is finally done! | "Ever Widening Circle"
My office is finally done! 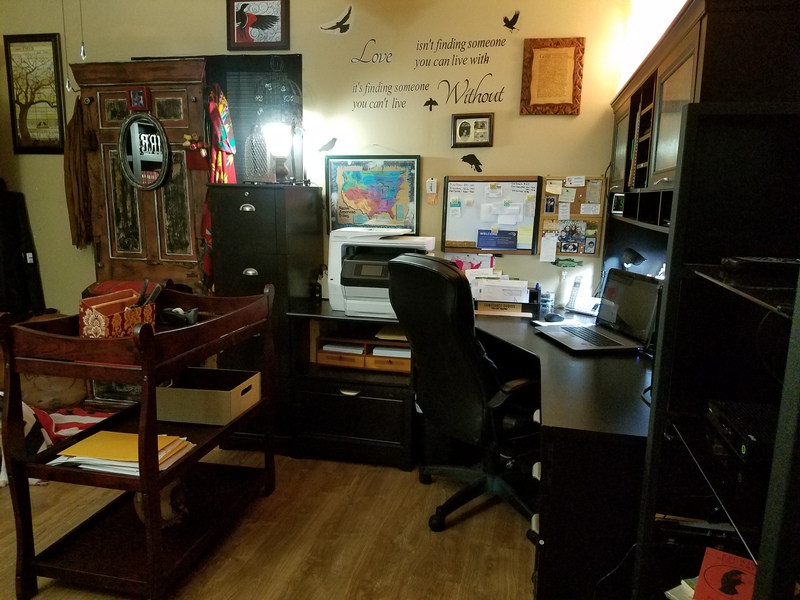 For 2 years now I have been working on my office – finally done with it! Getting ready to go back to full time researching! 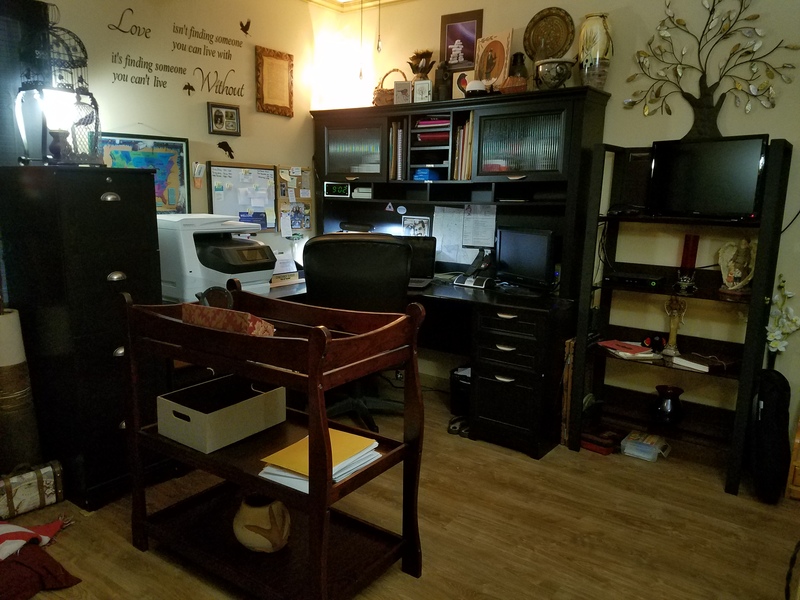 Bought several pieces at local pawnshop – found a used baby changer for $30.00 and converted into table for my printer station for books/paperwork/scanning/printing. I AM SO HAPPY with final product! Now to get back to researching! Will be so much easier with setup! Hi Coni, You very kindly put a message on LinkedIn for my e mail address. For some unknown reason I could not answer you. Anyway here is my e mail – theoldlibrary19@yahoo.co.uk How are you coping with your new office now you are far more organized. I bet you enjoy your work even more. 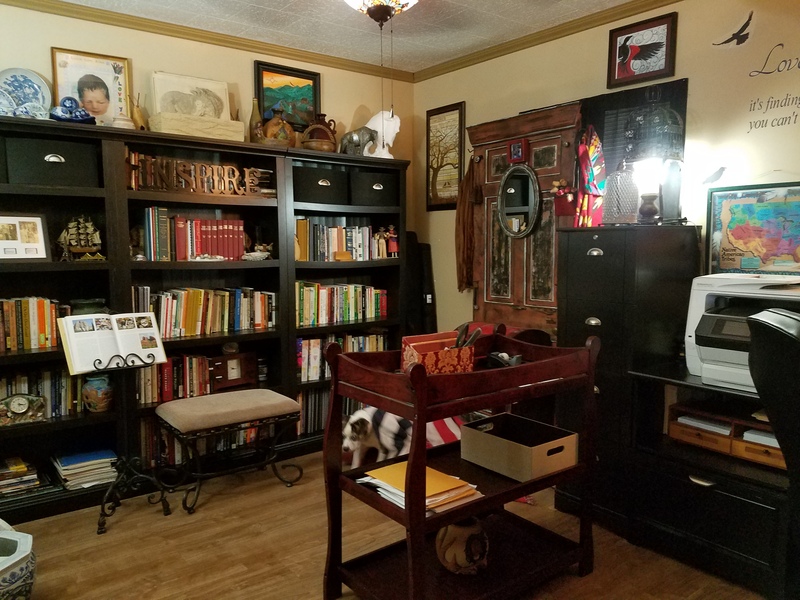 I am the same, I have to be organized I cannot stand having lots of untidy stuff around me, especially now that I study Linear B. I have 2 large bookcases full of files just for this and will soon need another one.Well good luck in all you do Coni Love your blog. https://polldaddy.com/js/rating/rating.jsThanks for letting me know your new blog address Coni. Your office looks splendid. I guess you need all the space you can muster in order to cope with all your work.You really have put your heart and soul into it haven’t you, and what a great achievement.